Lee McCaffree (left) and Pat Mark (right); photo by Jude Wiesenfeld, © 2017. 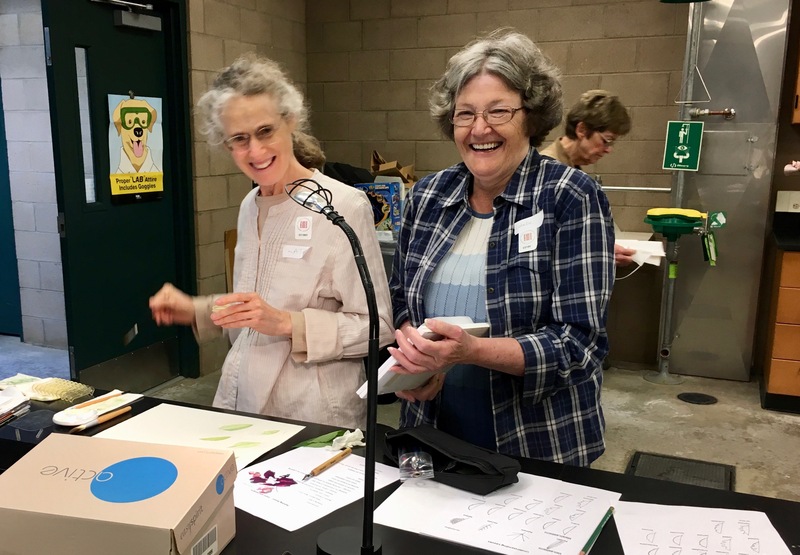 BAGSC held a one day class with botanical artist (and BAGSC member), Lee McCaffree, at The Huntington Library, Art Collections and Botanical Gardens on May 6, 2017 on “Leaf Detail: Start to Finish, Veins and Edges”. 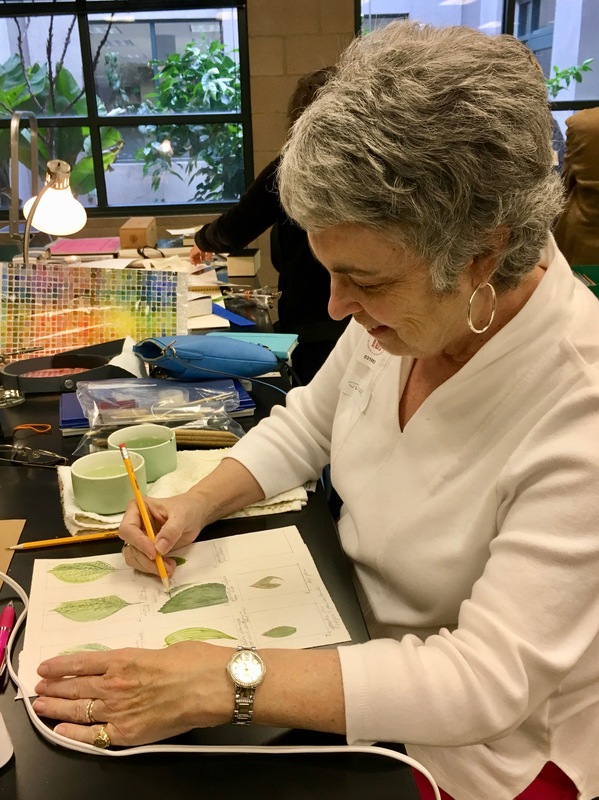 Susan Jackson, enjoying her leaf studies; photo by Jude Wiesenfeld, © 2017. 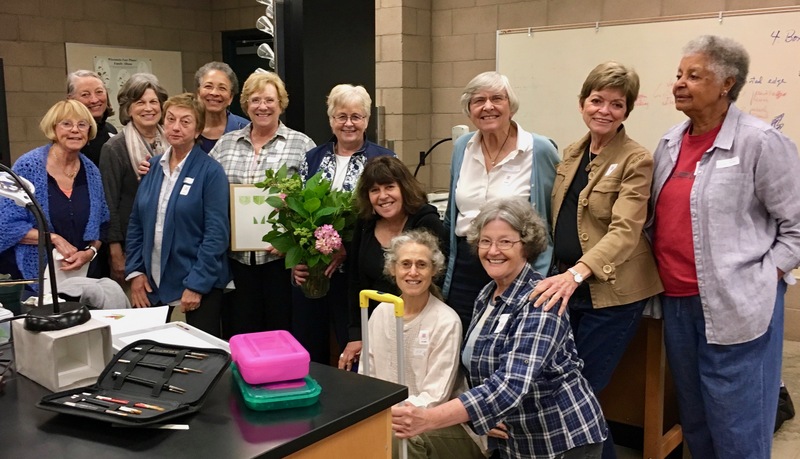 Lee stayed with Pat Mark, who also acted as her assistant in the class, arranging for specimens, distributing hand-outs, etc. We brought our lunch, which was a very good idea, as there turned out to be a special film event at The Huntington that took over the Brody side parking lot and added to the crowd. Lee is a very affable teacher and took time with every student checking their work on the assignments. 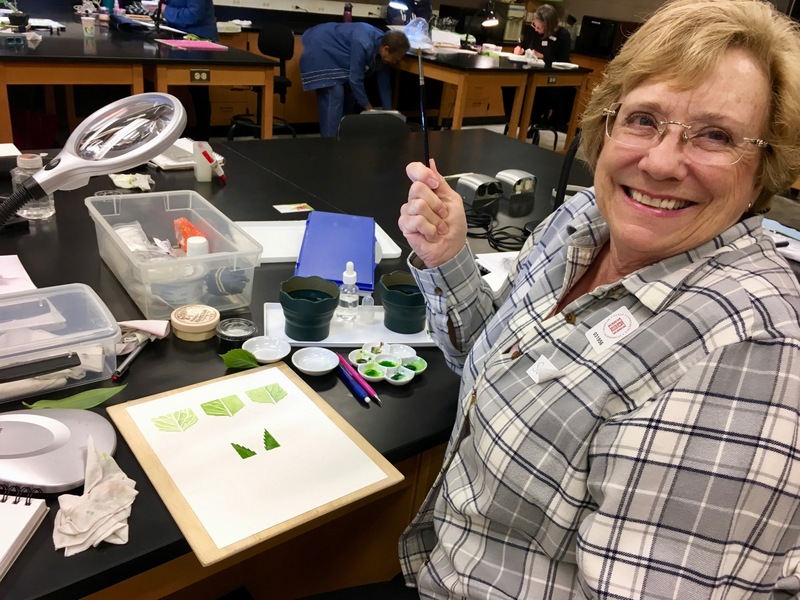 She began showing us examples of different leaf vein patterns and margin (edges) patterns. We divided our watercolor paper into sections and worked on different techniques in an effort to decide which ones we preferred. I liked leaving the whites of the veins, rather than “lifting” or “masking” the veins. Lee also suggested tools that would best suit rendering our veins and edges for the best results. We hope Lee will join us again in future. 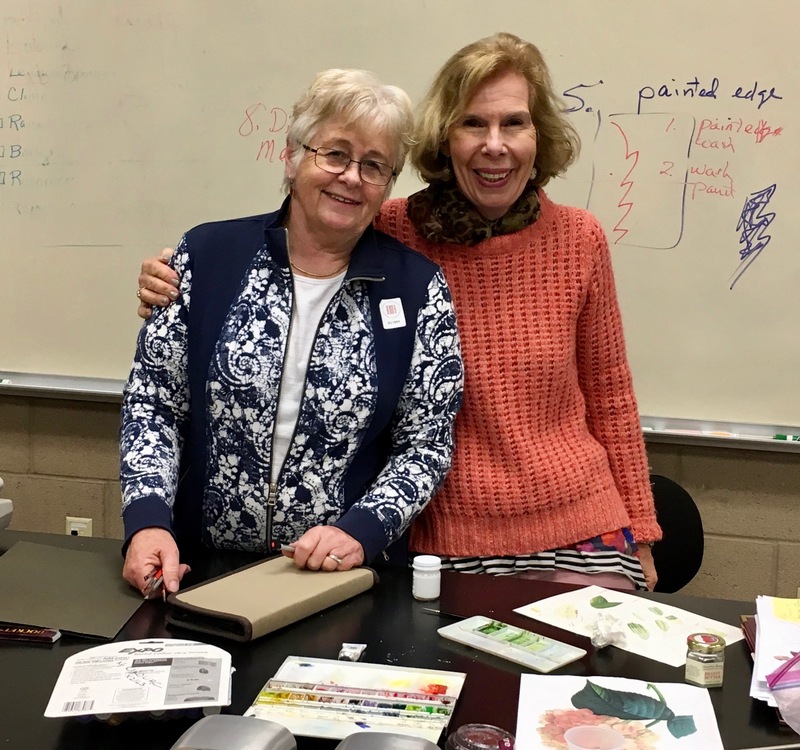 All of us enjoyed meeting her and enjoyed the class very much. Kat Powell (left) and Estelle De Ridder (right); photo by Jude Wiesenfeld, © 2017.